April 11 is National Pet Day, but you don’t have to own a pet to support animals! Adopt, support, or volunteer for these local animal shelters to celebrate our furry friends. 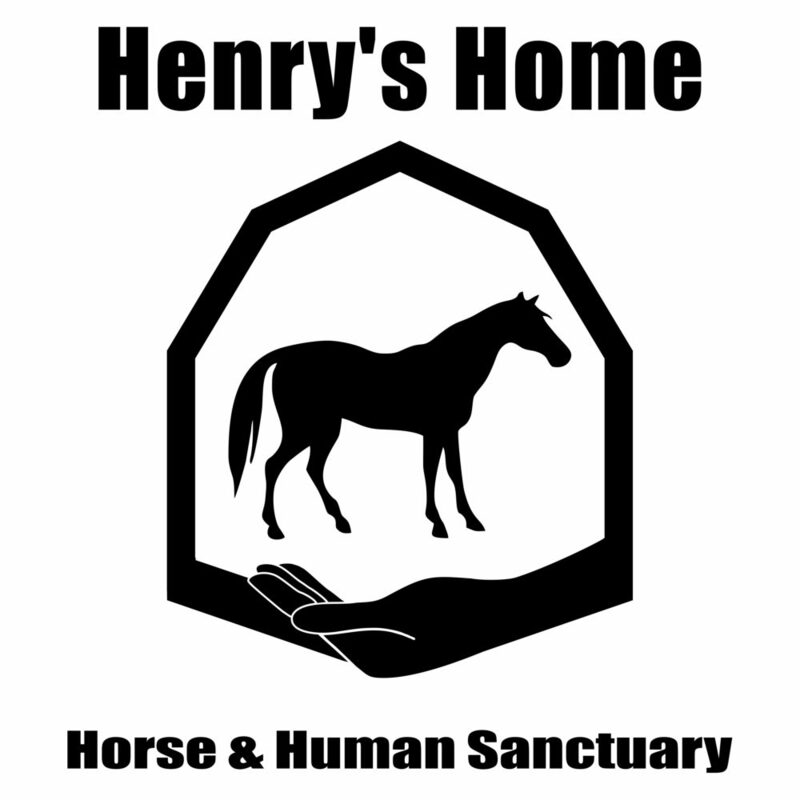 Henry’s Home Horse & Animal Sanctuary – Henry’s Home provides a permanent home for horses and other farm animals who have been through neglect or starvation, or are surrendered to prevent going to auction/slaughter. 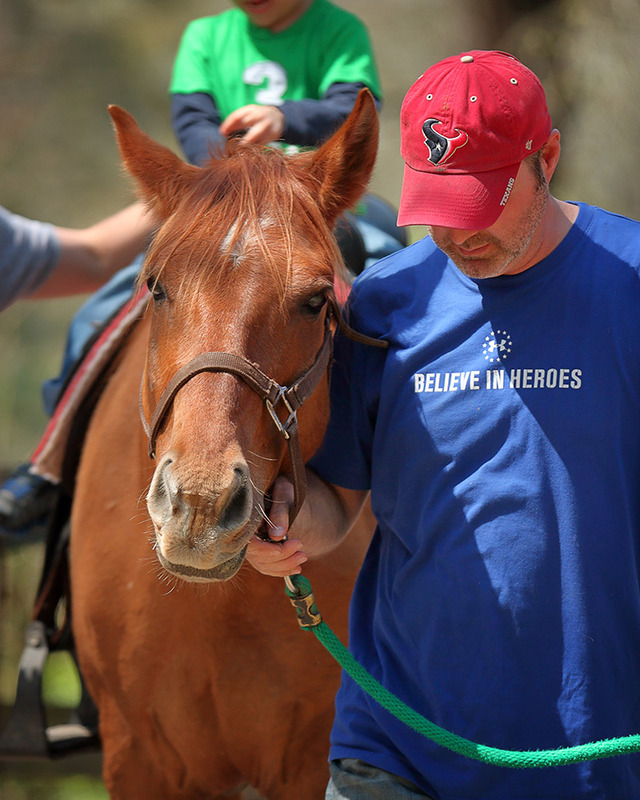 The sanctuary provides confidential equine assisted psychotherapy for veterans and first responders, and their immediate family members, always at no cost to them. Henry’s Home also provides a variety of riding & recreation opportunities for veterans and first responders, and their immediate family members, always at no cost to them. To volunteer you must be over the age of 18 and are required to take the Training and Safety Orientation. Some volunteers come with years of horse experience, and some have spent their lives afraid of horses and are now ready to get over that fear. All come with an open heart to continually learn. The sanctuary often gets asked if Herdmates can bring out their teenage children; this will be determined on a case by case basis by the Executive Director as the organization gets to know them and determine their level of responsibility and thoughtfulness towards the animals and other volunteers. Come out to the Brews & BBQ event at Grand Central Park! ALL proceeds will benefit Henry’s Home Horse & Human Sanctuary! Learn More. Set up your tax-deductible monthly sponsorship today! Henry’s Home is a 501(c)(3)non-profit horse rescue operating in Conroe, Texas since 2014. It is a Verified Rescue with Global Federation of Animal Sanctuaries and Platinum – Star rated on Guidestar. Operation Pets Alive (OPA) – Operation Pets Alive! is a non-profit, all-volunteer organization striving to elevate Montgomery County to a No-Kill community through innovative programs that raise community awareness, reduce the number of dogs and cats that enter our shelters, and increase the number of dogs and cats that leave shelters alive. 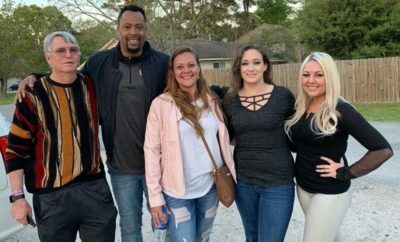 Fosters will sign a contract, agree to care for the animal, take it to scheduled vet appointments, take it to adoption events, assist with developing “good manners”, assist by providing information for bios and attending photo sessions. Search adoptable dogs and cats here. Donations to OPA are tax-deductible to the extent allowed by U.S. law. 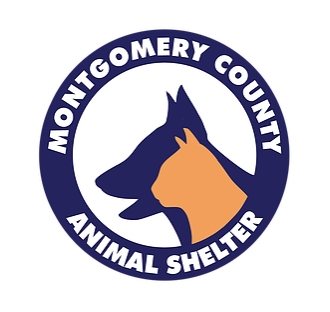 Montgomery County Animal Shelter (MCAS) – MCAS is dedicated to engaging the hearts, hands, and minds of the community to help animals in Montgomery County. The shelter is devoted to the humane, efficient, high quality care of animals in our shelter. MCAS is looking forward to and acting towards a day when shelter killing no longer exists. The shelter’s vision is to be the nationally recognized model of excellence in animal care and placement where humane organizations throughout the United States see MCAS as the beacon of best practices for animals. There are lots of choices when it comes to volunteering. There’s plenty of cleaning, grooming, and dog walking to be done. But you can also choose a quieter volunteer experience, just spending time with a favorite animal. If you have four weeks to give a puppy or kitten, consider being an AAR puppy foster. From food and basic supplies (including crate, newspapers, litter box, and medications) to on-call support, AAR provides fosters with everything needed to give a puppy or a kitten a healthy new beginning. All adopters must complete an adoption application. The application includes basic contact information, as well as, information that will help determine if the adopter will be a good pet owner. All adoption applications will be reviewed by an adoption coordinator before being accepted. Find the adoption application here. Purchase wish list items – Amazon Wishlist. Pure Mutts Animal Shelter – Pure Mutts Animal Sanctuary is a place for older and terminally ill dogs to come and spend their last days in loving care. We also give temporary homes to dogs that are down on their luck and need place to heal before finding forever homes. Though most are special needs, older and hospice animals stay at the sanctuary forever. Our younger injured residents once healed are put up for adoption. The sanctuary is a closed sanctuary due to the fact that it’s a no cage sanctuary. All dogs live as if they were living at home. In any large pack of animals it’s essential that people around them are well versed in animal behavior. Because of that the sanctuary does not have open volunteering. The shelter pays all vet bills and medical care and even food, if needed. You may foster a healthy dog, pet with medical needs, or injured dog. Choose from Silver Paws (older dogs), Special Needs (deaf, blind, arthritic, shy), or Healthy. Purchase wishlist items – Amazon Wishlist. Bears Etc. – Although not as well known about as traditional pets, exotic animals need help too. Bears Etc. is committed to provide a permanent, community-based, self-sustainable refuge for displaced exotic and wild animals and educate others about the natural world. In addition to providing permanent placement for rescued exotic animals, with an emphasis on bears, Bears Etc. aspires to provide animals in need the opportunity to live the rest of their lives in an environment as close to their natural habitat as possible. Bears Etc. provides educational programs to scout groups, youth groups, schools and other community organizations that focus on endangered species, exotic animal welfare, and to encourage responsible animal care. Contact Bears Etc. 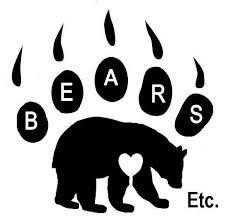 to have them come speak to your group at info@bearsetc.org. 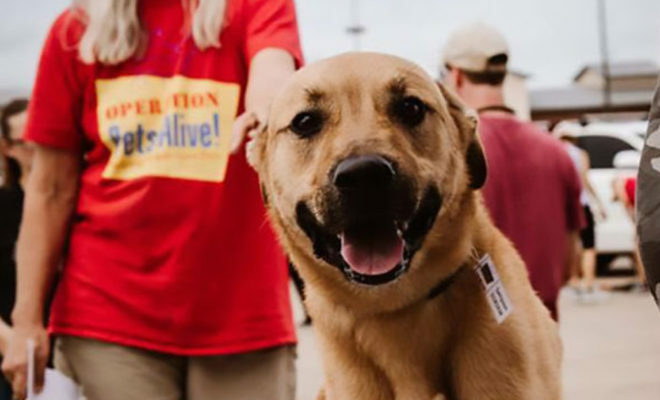 Woodlands Animal Rescue – Woodlands Animal Rescue exists to rescue abused, neglected and homeless animals from the streets of the greater Houston area and place them in loving homes. Woodlands Animal Rescue is a 100% non-profit organization run entirely by dedicated volunteers who offer their time and resources to house, train, transport and care for these animals. Since its inception, Woodlands Animal Rescue has placed over 1,000 animals into loving homes. Click here for the application for adoption. Find more information and a list of dogs here. Abandoned Animal Rescue (AAR) – AAR is a Cat & Dog Center that includes a limited intake adoption facility, community education outreach, and an affordable wellness and spay/neuter clinic through parters at Texas Litter Control. 2 hours a week makes a difference! Choose from dog care, cat care, office work, fundraising/event planning, or yard work. The cats and dogs at AAR are ready for your love. All adoptable pets have been spayed or neutered, vaccinated, wormed, flea-treated, and micro-chipped. Dogs are heartworm negative and on preventive; cats are FIV and FeLV negative. All they need now are forever homes! Texas Wolfdog Project (TWP) – The shelter’s goals are not only to rescue wolfdogs but also to help educate the public about wolfdogs and their different characteristics and distinctions from other dog breeds. Most of the public have a strong misunderstanding about these animals which leads to misrepresentation, negligence, and in some cases death of the animal. Texas Wolfdog Project supports responsible ownership and public education, as well as promoting education for other rescue groups, shelters and Animal Control facilities concerning proper wolfdog identification, evaluation and care. There are volunteer opportunities for kids 14 years and up who are accompanied by a parent or guardian. We do have volunteer opportunities for kids 14 years and up who are accompanied by a parent or guardian. TWP provides our fosters with all the support they need to make the fostering experience as easy and rewarding as possible. The rescue provides all Veterinary care, food, grooming, and if necessary training to help get our foster dog ready for their forever home. 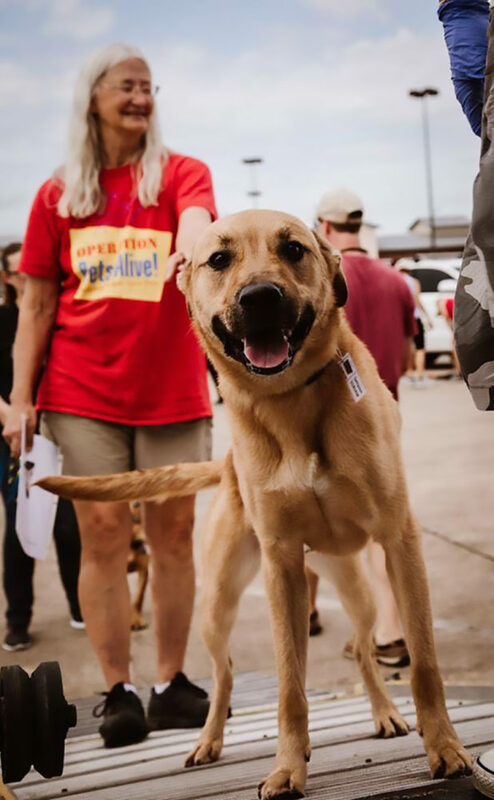 Depending on certain fencing and legal restrictions in the area, the organization is very careful in what dogs are placed in foster homes and works very closely with our foster volunteers. Learn about the breed: Are wolfdogs or northern breed dogs right for you? Temperament, health, size, nutrition, training, leadership, life expectancy are just some of the factors you will want to take into consideration for your breed of choice. Learn more here. TWP is a 501(c)(3) exempt volunteer organization and all donations are tax deductible. If you need to request a Tax form contact: treasury@texaswolfdogproject.org. Purchase wishlist items – Amazon.com Wishlist. S.A.F.E. House Rescue – S.A.F.E. is an acronym for Saving Animals From Euthanasia. One dog at a time, S.A.F.E. aims to reduce the local shelter population and find permanent loving homes for these animals. S.A.F.E. House needs caring, responsible animal lovers to join our foster team. The goal behind fostering is to provide the animals with socialization, basic training, and in some instances rehabilitation in a safe home environment. Come meet all of the dogs currently available for adoption in person each weekend! If the weather is nice, they will be outside. If it is too hot or too cold, check inside the store. S.A.F.E. House is a 501(c)(3) organization, and as such, all donations are tax-deductible. Adoption fees alone are not enough to sustain the day to day operations of S.A.F.E. House. 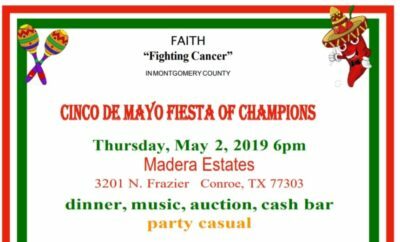 We receive some additional funding from the sale of microchips, T-shirts, and garage sale item. Most importantly, S.A.F.E. House operates on funds generously donated from the public. Kroger will donate 1% of grocery items purchased. Fill out the application here.